As a business owner, if you decide to seek out investments, you will have to go through the process of valuing your company. Errors in this process are common among entrepreneurs. Rather than not taking something into account, they come up with a crazy valuation. Recently, a company you have likely never heard—LeSports—managed to raise $1.2 billion (P55.94 billion) in funding. This Chinese company is another example of a unicorn company. Part of the reason they were so successful in raising funds is because they were optimistic while being realistic. 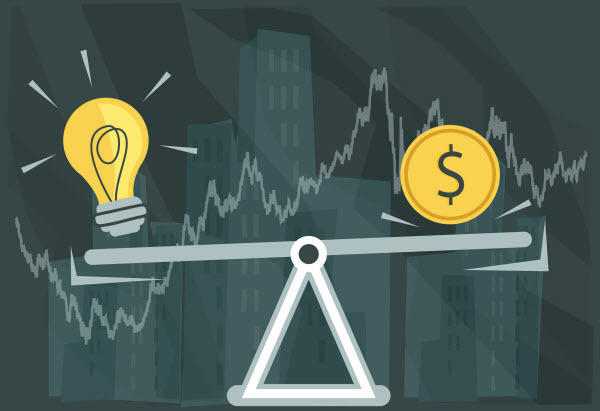 How can you make sure that your startup is valued at the correct price? When I started my business career, my first ventures were worth more than a billion dollars to me. They were my children and I would say they were the most valuable things on the planet. Of course, that was not true. The market determined what I was worth, and from experience, I can say that it is sobering reality—one that is difficult to get used to. You are what your market says. Just because a tech company becomes a unicorn does not mean that your clothing company will be worth the same amount. But sometimes the market view can be skewed. If you convince rich relatives to pump a lot of money into your company, it can give off a false impression that your company is worth more than it is. Just because you manage to do this does not mean that independent investors are going to invest at the same price. Market forces will determine what you are worth. This seemingly contradicts what I previously said, but in some scenarios, it is possible to tell the market what you are worth. Unfortunately, what seems like a golden opportunity can quickly go wrong. One of my best friends once ran a tech company that he believed was worth a million dollars. While conservative in the tech world, it was barely more than an idea at this point. I could see that it was not going to work from the beginning, and eventually he realized it too. He came up with a more realistic valuation—then the investors became interested. The difficulty you have is that you do not have a financial history to base your evaluations on. Instead, you need to base it on comparables and financial projections. Comparables – Take a look at other companies and see what they are worth. This is the comparables approach. You can do this by simply knowing your industry. It is how I valued my ventures because it was all that I had to work on. If you are working in a high-growth or high-tech industry, you may want to consult an accountant or a lawyer. Talk to both before making a decision. Financial forecasts – Forecasting a startup’s revenues is always hard. I have seen startups with great ideas fall without making a single sale. Again, you need to be realistic. Think about how quickly you are going to scale your business and the value of your market. The unicorn boom has come with lots of startups that have never made a sale—yet they are worth billions of dollars. But unless Google or Facebook decides to buy your idea from you, there is little hope of actually turning this into real money you can take away. Bear in mind that a valuation is not what your company is worth but what it could be worth if everything goes according to plan. Making your startup profitable is the hardest part of the process, and most companies never make it to this stage. The concept of a valuation is about making a promise to investors. If they are investing in a company that is valued at $5 million (P233.10 billion), they expect that one day the company will be able to reach $5 million (P233.10 billion) in turnover. It is easy to get swept up in the excitement of running a company valued at a high level. One day you are going to have to deliver on your boastings. Coming up short, even if you do turn profitable, will shake investor confidence and hurt your reputation in business circles. This is a fact many entrepreneurs do not realize until it is too late.